Surrounding the walls of your bathtub with waterproof material is essential when building or remodeling your bathroom. While tile is an attractive option, it can be expensive and difficult to install. Instead, many homeowners choose bathtub liners or wall surrounds, which adhere to the walls and protect them from moisture, mold and mildew. The greatest advantage of bathtub liners and wall surrounds is cost. Installing a surround over existing walls is a cost-effective way to remodel or update a bathroom. Simple, low-end surrounds can cost as little as $50 (in early 2011) plus the cost of installation tools and materials. Even more elaborate, high-quality surrounds are generally less than $1,000 (in early 2011), offering homeowners a way to maximize their remodeling budget. As with almost anything, you get what you pay for, and the more expensive, higher-quality surrounds look better and are more durable than less expensive models. Installing a bathtub liner or surround is easier than installing tile. While you can hire a professional company to install your new surround, you can complete the task yourself if you have some construction skills and are willing to follow the instructions. Surrounds are generally sold in either three- or five-piece units. While the five-piece kits may be slightly more difficult to install, they are necessary if your bathroom walls are not even. Even the most high-quality wall surround, however, can look bad if it is not installed properly. So if you are not confident in your installation skills, hire a professional. Bathtub liners and surrounds are generally simple to care for, especially compared to tiled walls. You may purchase tub surrounds that mimic the appearance of tile, and they do not require the added chore of cleaning tile grout on a regular basis. 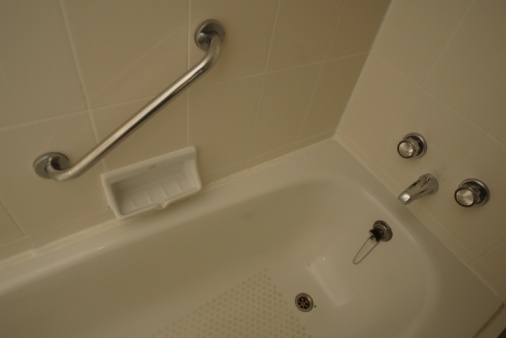 Unlike tiles, which can be repaired if they break, bathtub surrounds have to be replaced completely if they are damaged. In most cases, significant damage is unlikely. Multipiece shower surrounds also can accumulate soap, mold, mildew and grime in their seams where the panels meet. While installing a bathtub surround or liner is an inexpensive and simple way to update a bathroom, especially when staging a home for sale, some home buyers may prefer tile. If you spend the extra money to install a tile surround for a shower or bath, along with other bathroom updates, you can expect to recoup about 75 to 80 percent of the cost when you sell the home, according to the National Association of Realtors. If a complete remodel is not in the budget, though, adding a new tub surround can still improve a bathroom that is in rough shape, and you can expect to get most of your investment back.